The Bowers & Wilkins P7 are well-built and sturdy headphones. They deliver a good and balanced sound. They're comfortable and have a decently stable design. However, they only block noise passively, which is not sufficient for loud environments, and they also leak quite a bit. 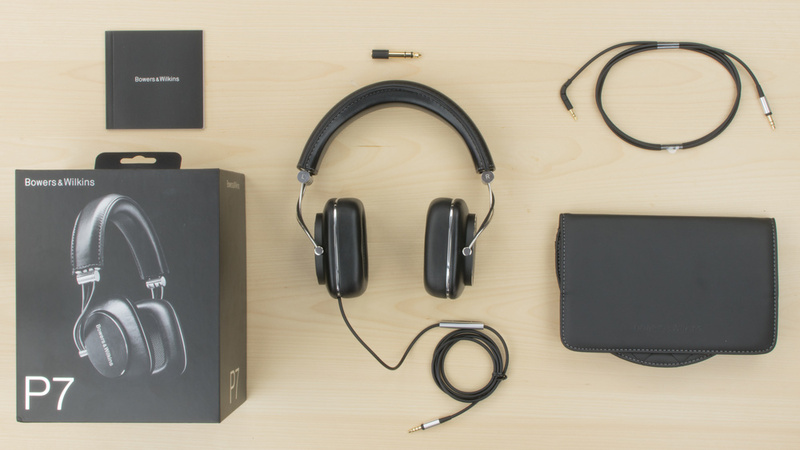 The B&W P7 are well-crafted premium looking headphones. They have a simple yet eye-catching design with, well-padded and comfortable ear cups. Their build quality is durable, and they're stable enough, to not easily slip off your head. However, they're a bit bulky and not designed for sports. They're also a little tight especially on larger heads, which can get slightly uncomfortable. The B&W P7 look luxurious and high-end. They're stylish and make use of premium materials in their build quality. 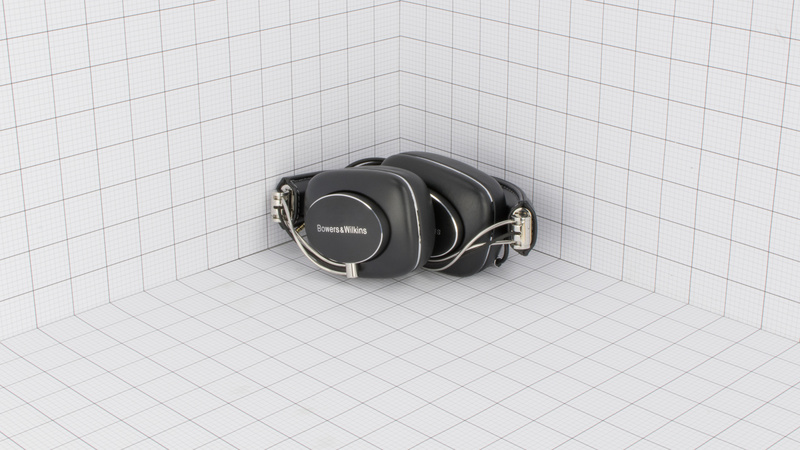 The frame is metal, the earcups and headband are covered in a black leather finish that further highlights their premium appeal. They're a lot bulkier than the P5 and therefore do not look as sleek, but they will still stand out in a crowd. 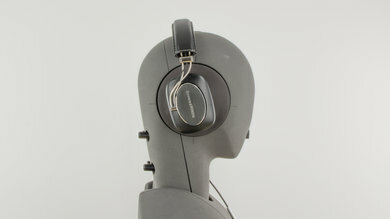 The Bowers and Wilkins P7 are comfortable headphones. 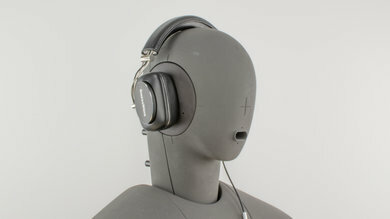 They're well-padded and the earcups, although a little small, fit well around most listeners ears. 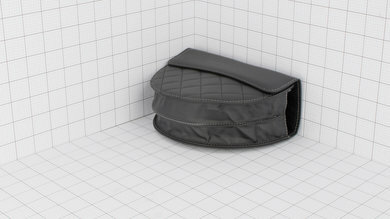 However, they can feel a little tight on the head because of the rigid headband. 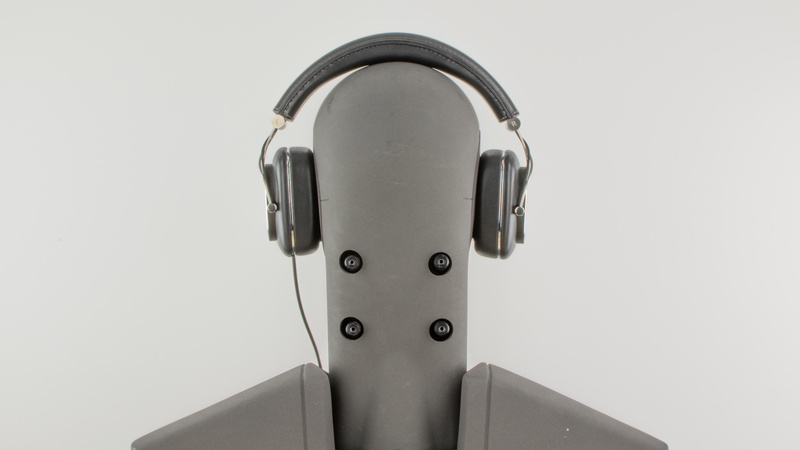 Also, the square earcups can cause slight discomfort for some listeners during long listening sessions. The B&W P7 have good control scheme. They provide call/music, track skipping, and volume controls. The buttons also have a nice clicky feel to them. Unfortunately, the inline control module is a relatively thin cylinder, which makes the buttons slightly harder to distinguish by feel alone. However, you get used to it fairly fast. The B&W P7 are a little on the larger side for over-ear headphones. They fold into a more compact format but will still be too big and cumbersome to comfortably carry around on your person. They will fit into a backpack and some larger purses or handbags, but they won't fit into any pockets, even wider jacket pockets. Comes with a stylish pouch that will protect the headphones from scratches and regular wear and tear. 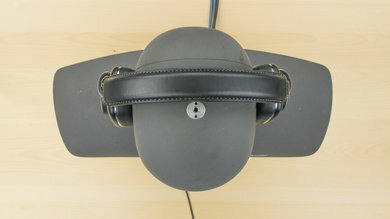 It also doesn't add much bulk to the headphones. Unfortunately, the pouch will not shield the headphones from water damage or hard falls. 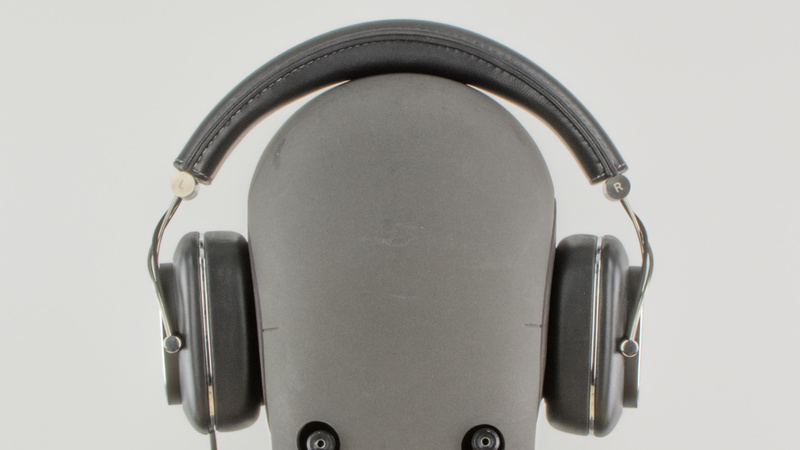 These headphones feel sturdy and durable. 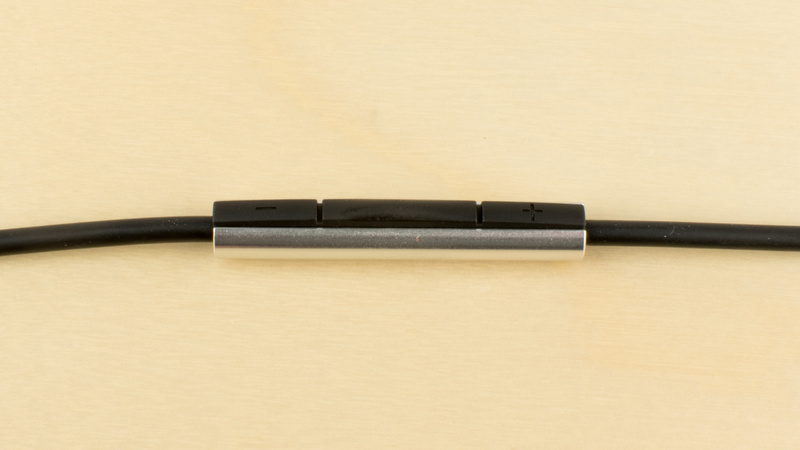 The frame of the headband and the hinges are completely metal and can withstand a fair amount of physical stress. 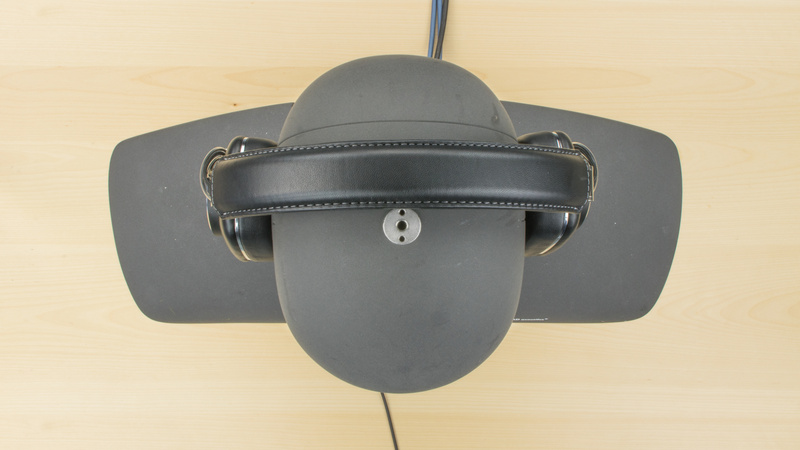 The ear cups are also dense enough, to not get damaged from a couple of drops. 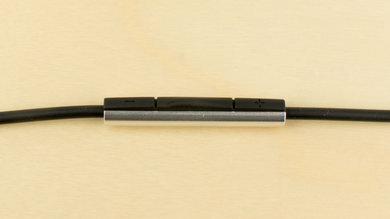 However, they're connected to the rest of the frame by relatively thin hinges, which are the weakest points on these headphones. 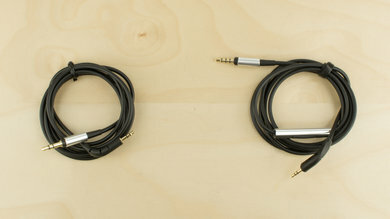 Additionally, the audio cables that connect to the earcups are somewhat exposed and could get damaged from wear and tear. These headphones are sufficiently tight on the head, to not fall off during mild physical activity. However, they're not sports headphones. They're a little bulky and will sway, potentially slipping off your ears, if used at the gym. 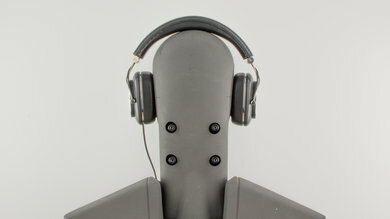 Also, the detachable cable will pull the headphones of your head before disconnecting if it ever gets hooked on something, which is slightly disappointing. Comes with two cables. A 1/16" to 1/8" TRS audio cable and a 1/16" to 1/8" TRRS audio cable with inline controls. 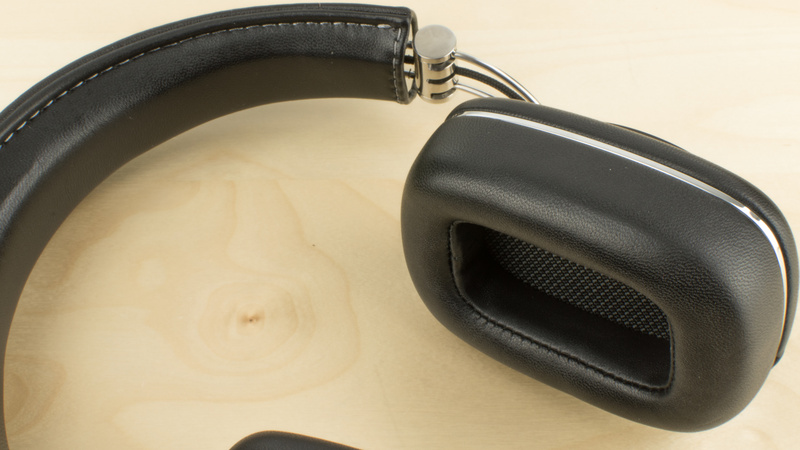 The B&W P7 are a good sounding pair of closed-back over-ear headphones. They have a very good and extended bass, a nearly flawless mid-range, and a decent treble. However, their bass is on the heavy side, and their treble is veiled. Additionally, they are sensitive to positioning preference and their performance could vary noticeably from person to person. They also don't have an open and spacious soundstage. The B&W P7 only isolate passively with the seal created by the earcups. They're able to block some high-frequency noise but unfortunately, it's not enough for loud environments. Unless you play your music at high volumes, you will still be able to hear the chatter of a busy office and the rumbling noise of a train or bus. 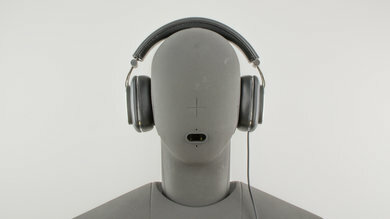 Sadly, they also leak quite a bit, so people around you will be able to hear your music, especially, at higher volumes. Poor overall isolation. 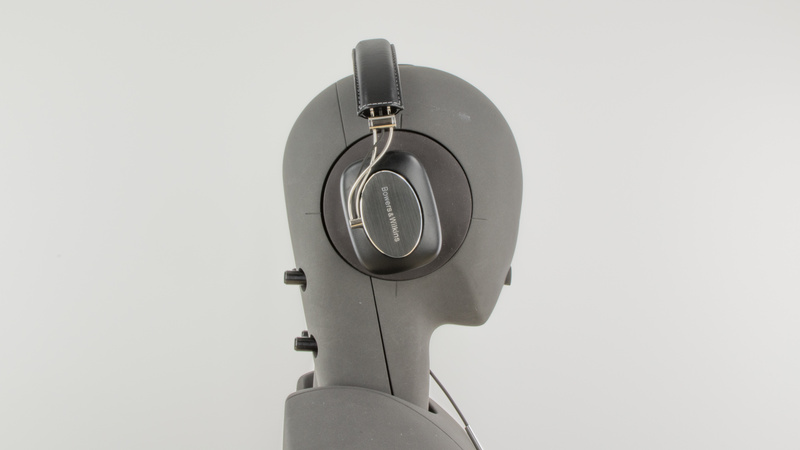 Since these headphones don't have active noise cancelling, the passive isolation provided in the Treble Range by the ear cups is quite good. But it only becomes effective past 400HZ and does not really block any low/bass frequencies. Isolation in the mid-range is also below average. Poor leakage performance. 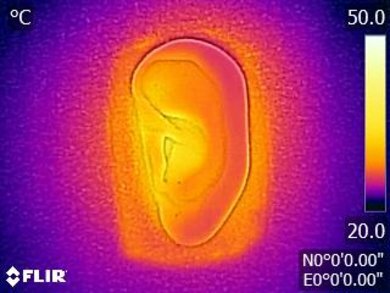 The majority of leakage sits between the 400Hz-9KHz frequency range which is broad. The overall level of the leakage also relatively loud, which contributes to the poor leakage score of these headphones. 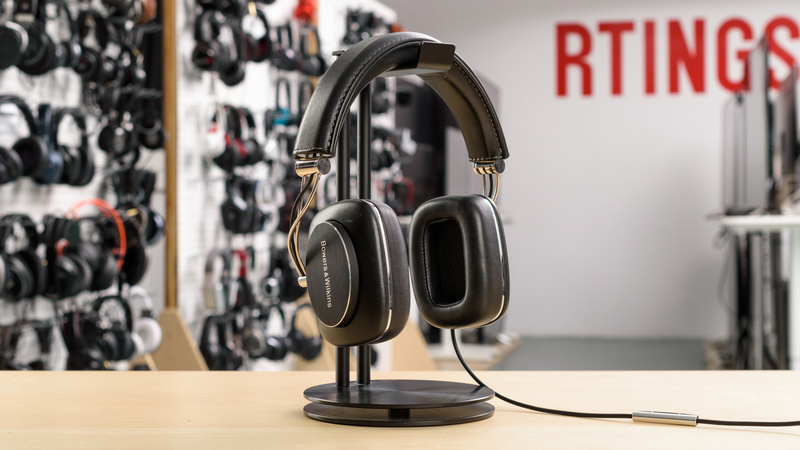 The B&W P7 are above-average everyday headphones. They're well designed and sturdily built. They also deliver a good, well-balanced sound quality. However, their poor passive isolation means they won't be versatile enough for all environments. 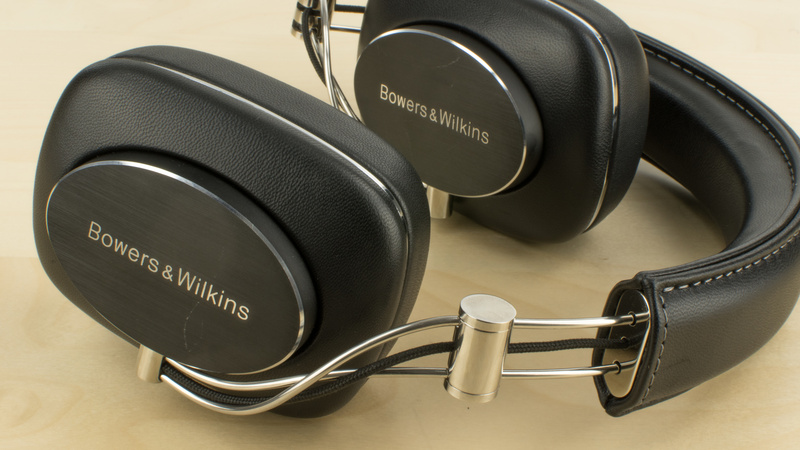 The Bowers & Wilkins P7 deliver a good, balanced audio reproduction for critical listening. They sound a little bit closed due to their closed-back design but reproduce the bass, mids, and treble frequencies accurately. They're also moderately comfortable for long listening sessions. Mediocre for commutes. They're comfortable and have a decent control scheme, but the noise isolation is not sufficient for loud environments. Average for sports use. They're moderately stable and can fold to fit into a backpack. However, they're a bit too bulky for strenuous exercise. Mediocre for office use. They won't block the ambient chatter of a busy office, and they also leak quite a bit. On the upside, they're comfortable to use for hours. Above-average for home theater use. They're a bit tight on the head but have an above-average, suitable for listening to music and watching movies. They're also wired, so they have negligible latency when watching videos. However, they have a relatively short audio cable, so they won't be the ideal headphones to comfortably watch TV from your couch.